If you have thin or fine hair, you might be wondering if braids will work for you. We’ve all heard the horror stories about tight braids causing hair loss. 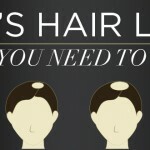 And if you already have fine or thin hair, the last thing you want is more hair loss. The good news? Braids can work for your thin hair as long as you follow some guidelines and styling tips. 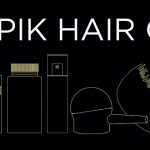 Keep reading to find out the best kinds of braids for thin hair, and how Toppik Hair Building Fibers can make thin edges look fuller. 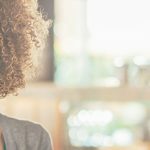 Unfortunately, hair loss from tight braids is all too common, especially for African American women. In fact, the American Academy of Dermatology reports that more than one-third of African American women will experience traction alopecia at some point in their lives. Traction alopecia is defined as hair loss caused by pulling on the hair. This type of hair loss can be caused by too-tight ponytails, buns, and braids. Symptoms of traction alopecia begin as small bumps on the scalp. As the condition progresses, hair begins to fall out and break off. The hairlines along the front or sides of the scalp (or “edges”) are usually most affected. In the worst cases, scarring can occur on the scalp and the hairline actually can recede. The best thing to do if you notice signs of traction alopecia is to take a break from braiding your hair. 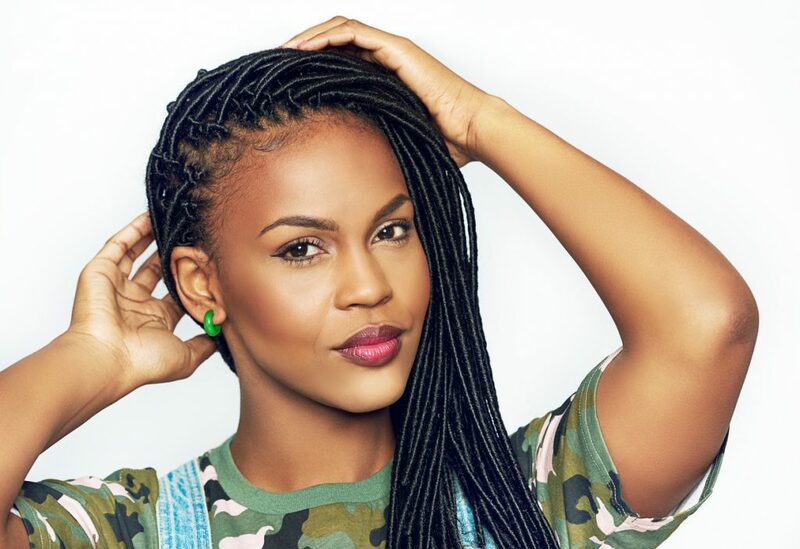 However, you can wear gentler braid styles such as box braids as long as you’re very careful about how they’re installed and how you care for them after installation. Box braids are a protective hairstyle in which natural hair is separated into box-shaped sections. Then extensions are braided into the natural hair. This allows you to add length and thickness to your hair, which is especially helpful if you have thin or fine hair. And since installing braids means you don’t have to style your hair everyday, you’re allowing your natural hair grow with minimal damage. Depending on how your stylist parts your hair for the braids, they can also help disguise areas of traction alopecia. First, you need to find a stylist that has plenty of experience braiding thin hair. Ask your friends for recommendations or look online for a stylist in your area who specializes in braids. Braiding thin hair requires a specific technique to prevent unnecessary breakage and hair loss. When shopping for extensions, choose a hair texture that is lightweight enough for your hair type. 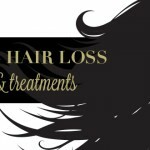 Too-heavy extensions can pull on fine or thin hair, pulling it at the root and causing damage. If you purchase synthetic hair extensions, you may be allergic to their coating. This coating often found on synthetic hair can make your scalp itchy. This inflammation can lead to further hair loss. To remove the coating, fill a bowl with warm water and one cup of apple cider vinegar. Place the synthetic hair in the bowl for 20 minutes. Once a white film appears, rinse the hair in clean, warm water. Squeeze excess moisture out of the hair and hang to dry. 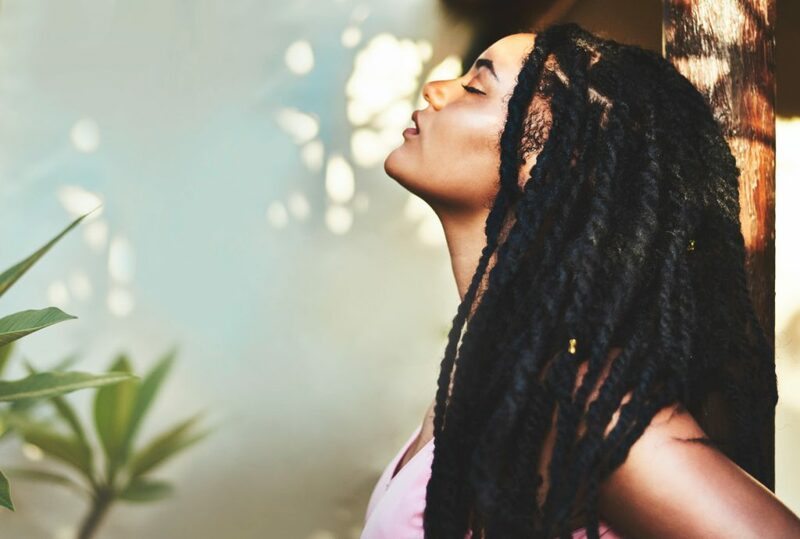 Before going in for your braiding appointment, deep condition your natural hair to make sure it’s as healthy as possible. You can use a store-bought conditioning mask, or make your own. Mix one part coconut oil with one part honey. Apply to hair and allow to sit for 30 minutes. Then wash it out with a gentle, sulfate-free shampoo like Toppik Hair Building Shampoo. 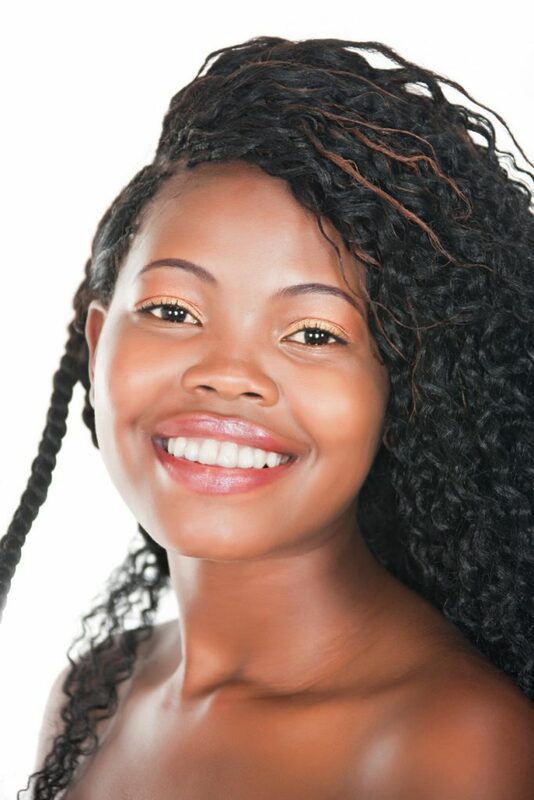 At your braid installation appointment, tell your hairstylist that you want small or medium size braids. These will be lighter than thick braids and will place less tension on your natural hair. Also, ask your stylist to feather your braids. Feathered braids are thick at the roots and taper down to thin ends. This removes more weight from your braids, which means they’ll be less likely to cause traction alopecia. Plus, lighter braids are more versatile and don’t put as much strain on your neck, shoulders, and back. Make sure your stylist isn’t braiding your hair too tightly. Your braids should feel secure. But they shouldn’t be so tight that it’s painful to move your head or lift the braids. Plan to have your edges redone every three to four weeks, depending on how quickly your hair grows. The hair at our edges tend to have a finer texture, making it more prone to breakage. Once your edges start to grow out, the extension won’t be as secure. The extension is more at risk of being pulled out, taking the hair follicle with it. Although rebraiding your edges every few weeks is certainly a time commitment, it’s critical to preventing hair loss from the braids. Use Toppik Hair Building Fibers to fill in sparse areas between the braids or to make your edges look thicker. Just apply a small amount with the Spray Applicator, pat into place, and apply FiberHold Spray for extra shine and extra hold. Toppik Fibers will last until you wash your hair again. So all you need is a daily touch-up to make them last. Do you have braids for thin hair? What are your tips for preventing traction alopecia? Let us know in the comments!